BLACK HAMMER has been revolutionizing shoes since 1993. With our genuine leather, durable craftsmanship and innovative design, every pair is created to bring you the greatest comfort with the finest style. Like you, we never compromise on quality. 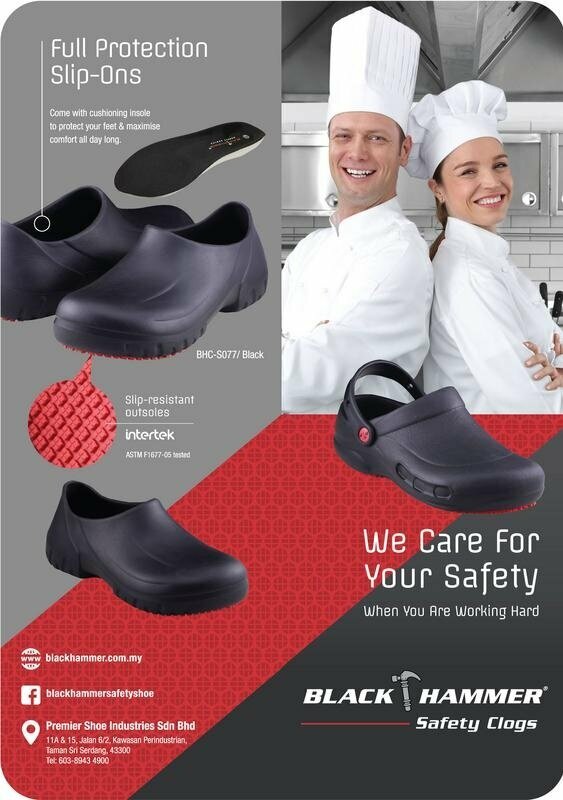 The Black Hammer Safety Clogs are designed for professionals especially for food service, hospitality and healthcare industries. Tested in the field, and keep your feet comfortable during long shifts.